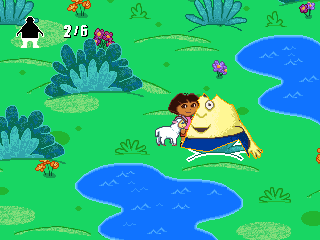 Continuing with the JAKKS stuff on SunPlus hardware, we have Dora The Explorer. 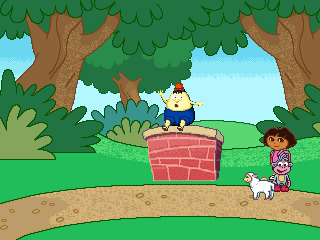 This one sits at the opposite end of the quality scale compared to the Disney Friends offering, and feels like the absolute minimum effort was put into it. While these games are targeted at a younger audience I can’t help but feel this one doesn’t even really offer anything worthwhile to that audience, a few basic minigames, minimal sense of reward, nothing to make each experience different. 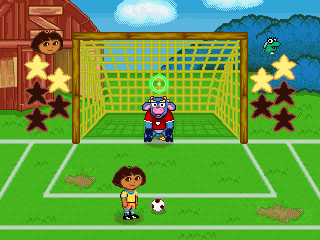 A good kid’s game can be enjoyable even for adults, but this falls short in every department. 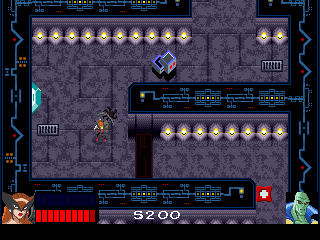 It does appear to be fully playable however. 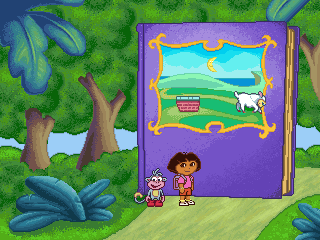 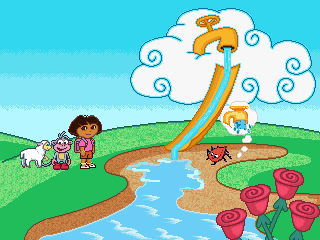 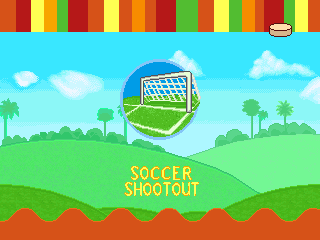 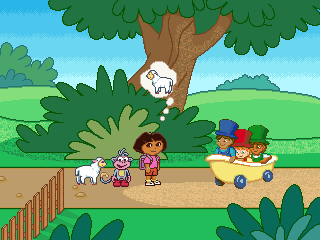 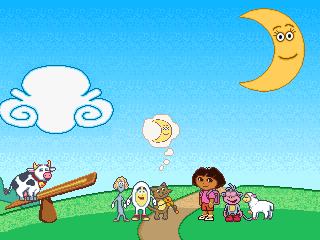 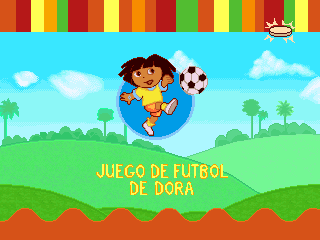 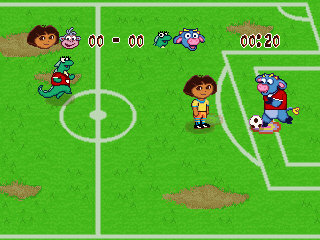 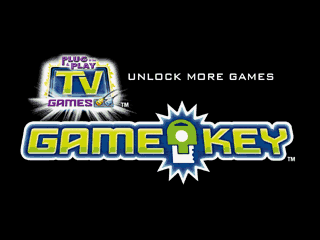 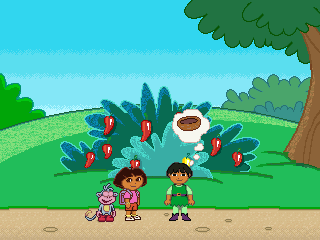 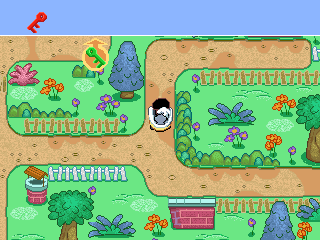 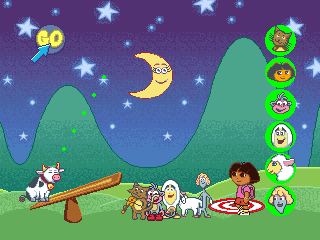 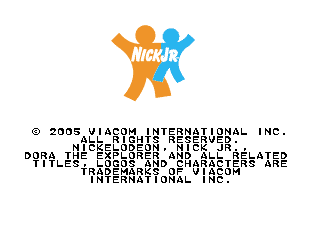 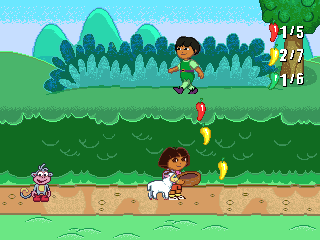 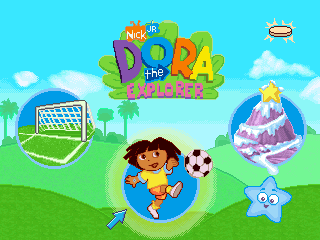 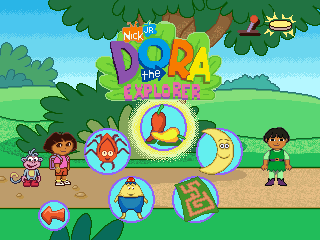 The Dora unit uses ‘NK’ (Nick Toons) type Game Keys, there was a Dora one of those released too. It contains 3 games (I’m not sure if there is a version without the Football game) but again none of them are really worthwhile, minimum effort for what they are in each case. 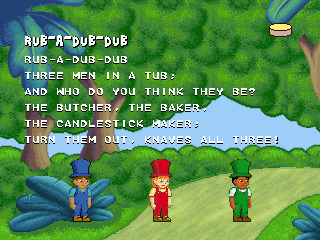 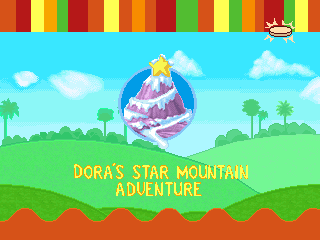 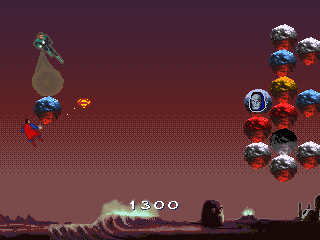 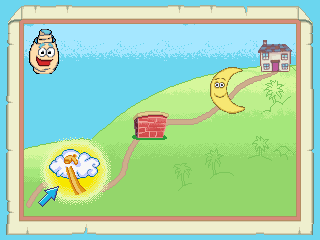 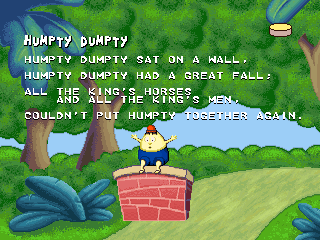 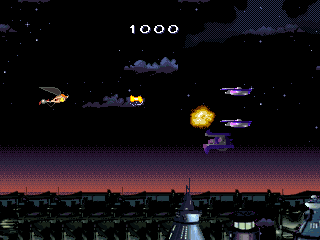 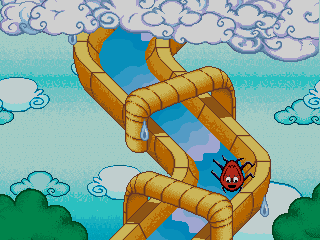 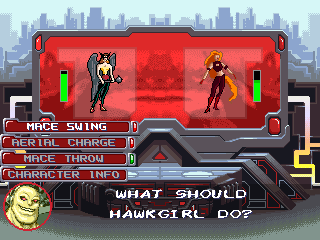 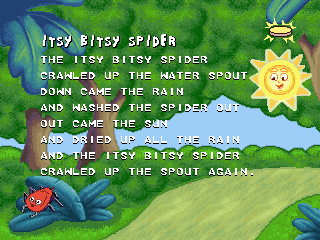 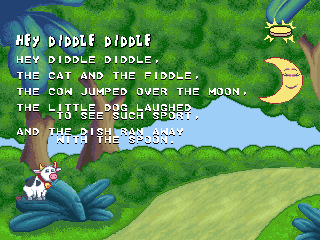 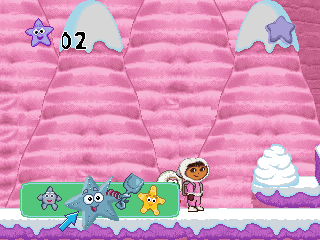 Star Adventure even seems to have some poorly designed sections where the intended game mechanics don’t apply properly. 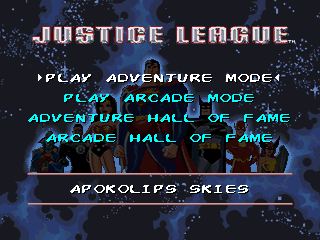 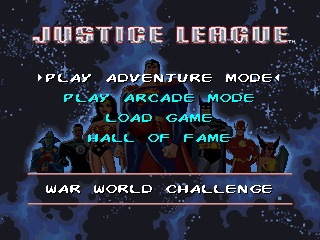 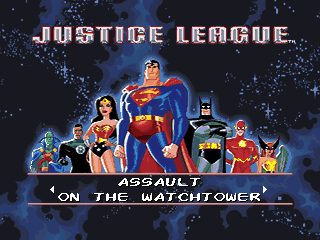 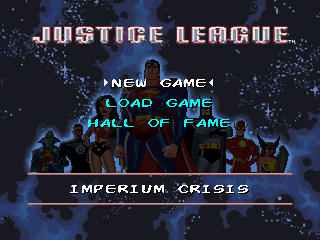 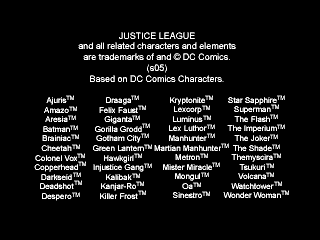 Justice League is a better effort, not perfect, but there are some playable game ideas in here, including a take on Puzzle Bobble using Superman. 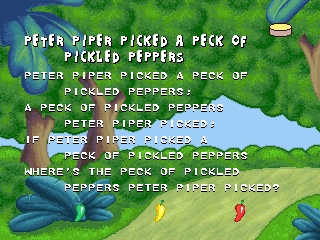 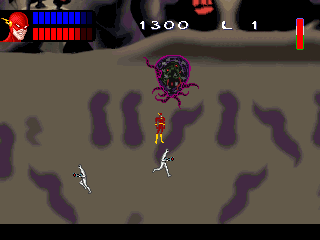 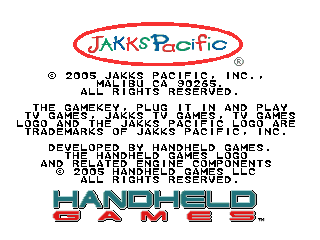 No Game Keys were released for this. 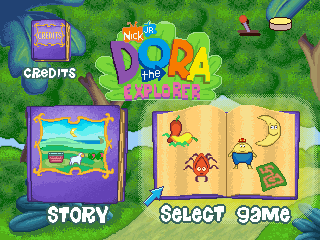 I’ll cover some more in part 5 later.